All information on this web site is correct at time of publishing. 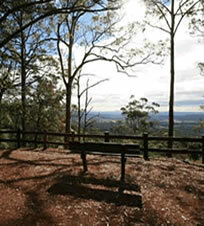 All companies listed are members of the “Discover Tamborine Mountain”. This web site may contain information about activities which by reason of their physical exertion or the degree of physical fitness required may be unsuitable or dangerous for certain persons or it may describe activities which are inherently dangerous. 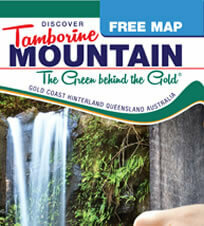 “Discover Tamborine Mountain” makes no representations of fact, nature, quality and suitability about any or all of the activities promoted on this site and the user agrees that the user shall be responsible for first satisfying himself/herself by independent inquiry or advice as to the suitability of the particular activity. Any access to this site by the user is entirely at the users own risk and “Discover Tamborine Mountain” shall not be responsible for the propagation of computer viruses transmitted from the site. Travel arrangements and prices detailed on www.DiscoverTamborine.com.au internet site are provided and coordinated by “Discover Tamborine Mountain”, who has taken due care and responsibility to verify and check all information on this Internet site as at the time of compilation. However, as the relevant tourism service operators on this web site supply this information, it accepts no responsibility for any inaccuracy or wrong description contained in this publication or information as so supplied. Sales of services as contained in this publication are made by “Discover Tamborine Mountain”, only as an agent for the person, business or company providing the services. 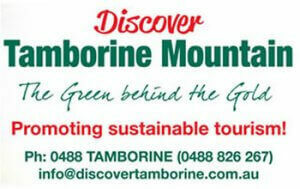 “Discover Tamborine Mountain” does not accept responsibility for any changes in price variation of services shown. All services and prices are subject to change without notice. All maps, photographs, illustrations and computer-based graphics are included for general purposes only and are not always indicative of the subject matter. Hotel room photographs (graphics) may not be specific to the actual room occupied. Maps may not be to scale. This entry was posted in Discover Tamborine on January 1, 2013 by admin.